Itech – Exclusive mix for bejbi.se. The 33:rd of our series of exclusive mixes..
Click ”see the rest of this entry” to read more about Itech and to download the mix. 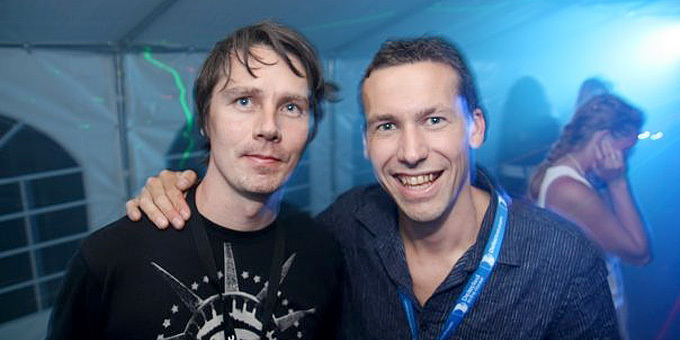 Itech, Johan Grönlund and Patrik Simolin, started doing the Itech events in early 2008, aiming to deliver the latest sounds in electronic music in an exclusive way. The events have had guest DJ’s such as Tony Senghore, Zoo Brazil, Özgur Can, Calle Dernulf and many more. The main events of the year have turned out to be the popular Itech Beach. An event that runs over the weekend in early August and combines great DJ’s and music with lazy days in the sun. Alongside doing the events, Itech have been busy producing own tracks as well as remixing many known artistst, such as Lisa Millet, Black Legend, Erik Hassle, Veronica Maggio to name a few. They are currently working with setting up their own label, Itech Records, which will be launched during 2011. So keep your eyes and ears open for exciting new material from the Itech crew. Now they are the 33:rd out for a series of exclusive mixes recorded for bejbi.se by our favorite dj´s, both well known, and unknown, that we will publish once a week untill we run dry. Download Itech´s Exclusive mix here (right click and save as) or listen to it live on Soundcloud or just press play below here. If you want more of Itech, check out their Facebook page.